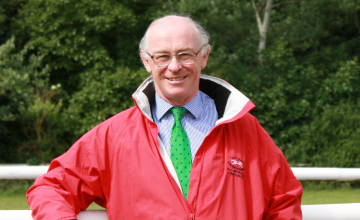 The late Rory MacDonald, who served as chief executive of the British Racing School for 22 years, is to be commemorated in the naming of the new community prize at the 2016 Godolphin Stud and St able Staff Awards,nominations for which close this Friday following a two-day extension, writes Scott Burton. The 12th GSSSA ceremony,which will be held in London on February 22, was already due to feature the new category –designed to recognise unsung heroes in the racing industry and jointly sponsored by Racing Welfare – and it has now been renamed the Rory MacDonald Community Award. MacDonald, who died last month aged 66, was instrumental in developing the BRS from his arrival in 1992 until his retirement last year, and was awarded an OBE for his work.